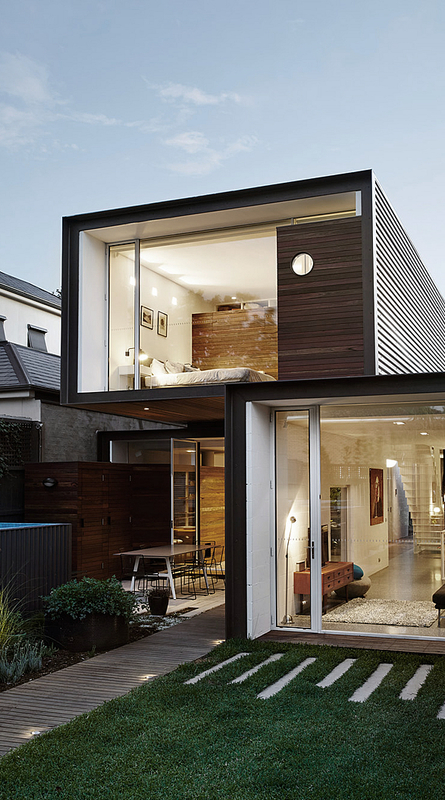 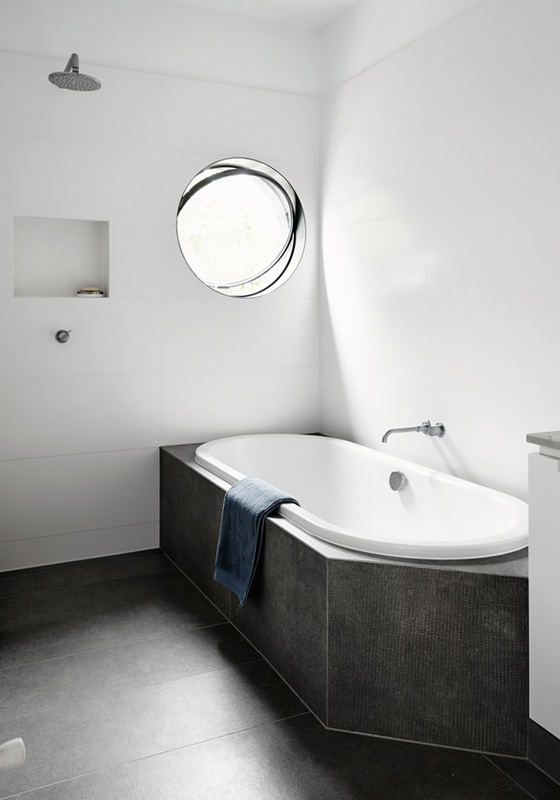 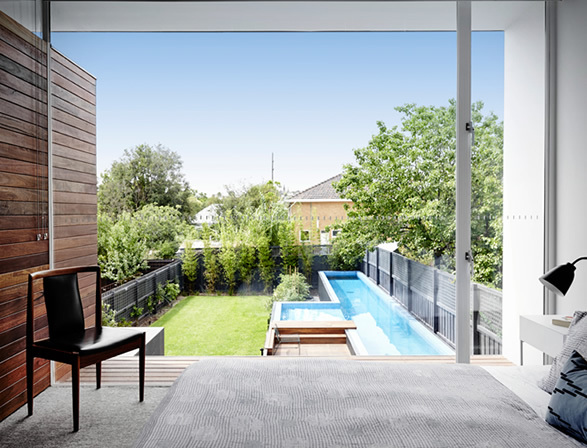 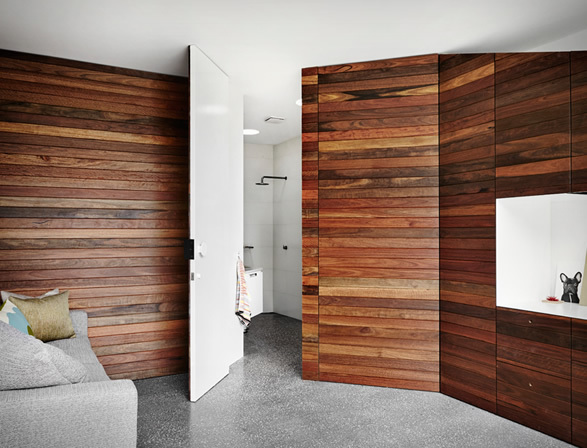 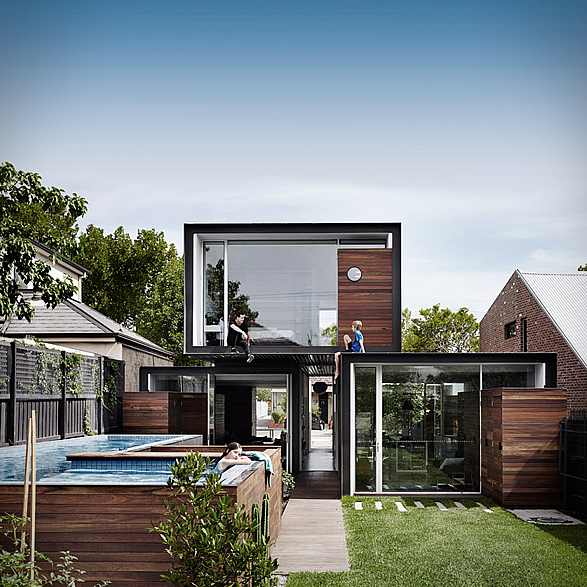 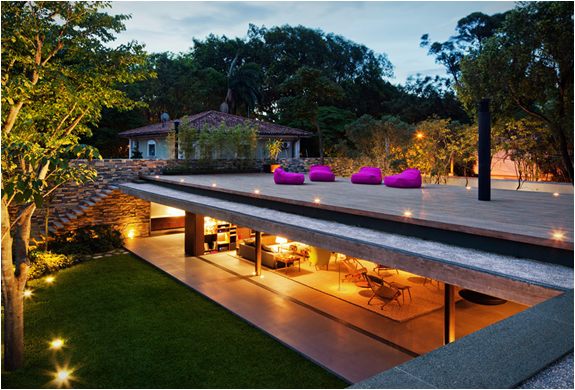 "That House" is an award wining project by Australia´s Austin Maynard Architects. 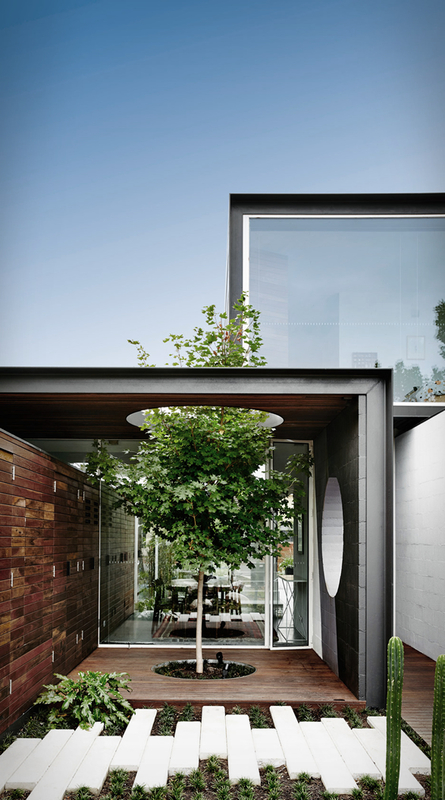 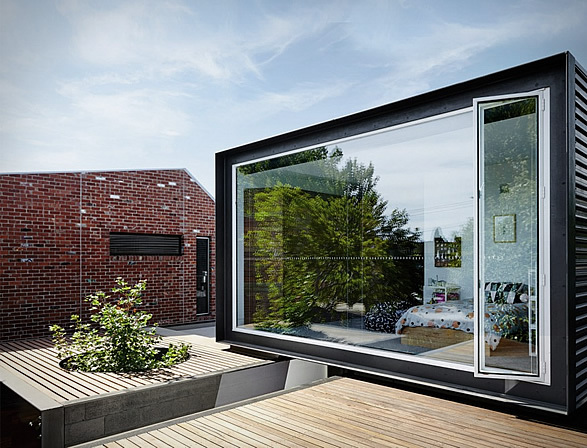 Located in a neighborhood in Melbourne, the unique house is formed by three large glass-ended boxes that open out to an expansive garden, as well as a series of courtyards and terraces. 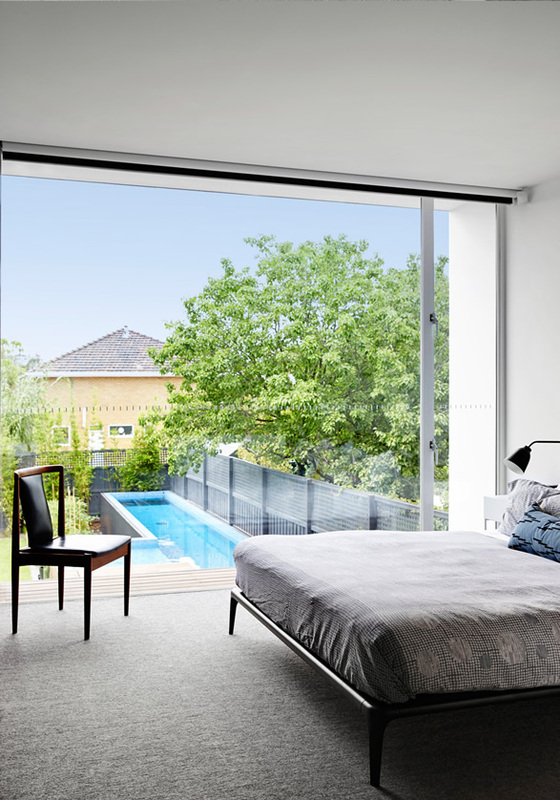 When the family need more privacy, blinds can be used to cover the glazing. 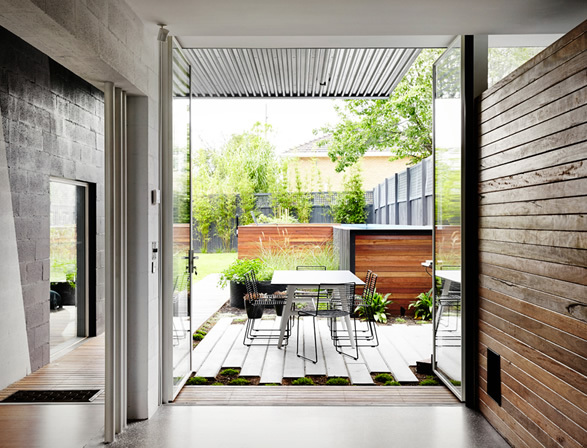 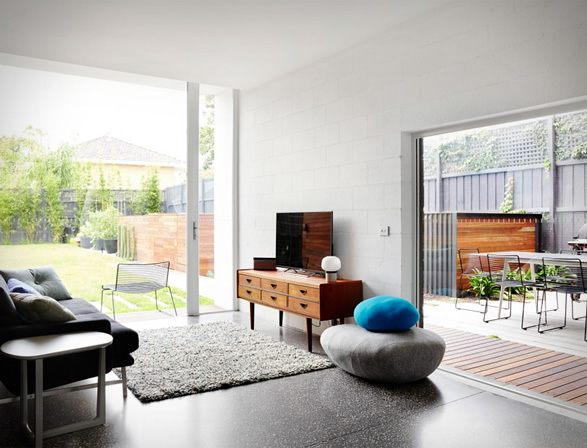 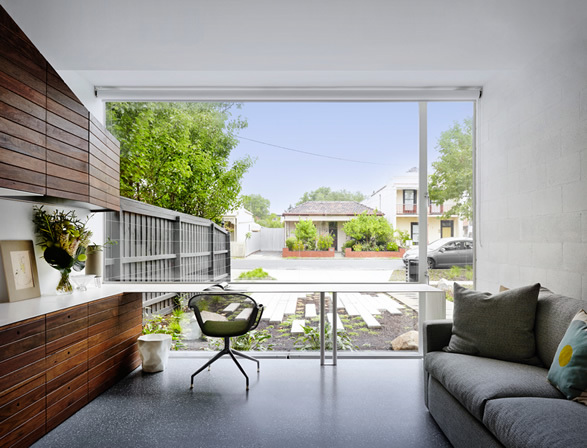 The connections between spaces are adaptable and loose, with the front garden extending into the home and creating a bridge between the kitchen and dining area. 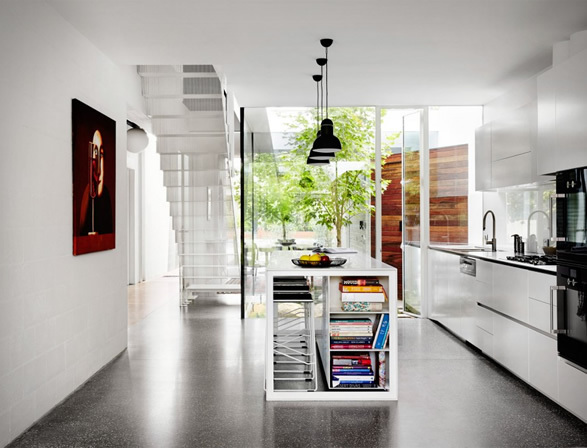 The ground floor of the house is divided up into a series of separate but visually connected living spaces. 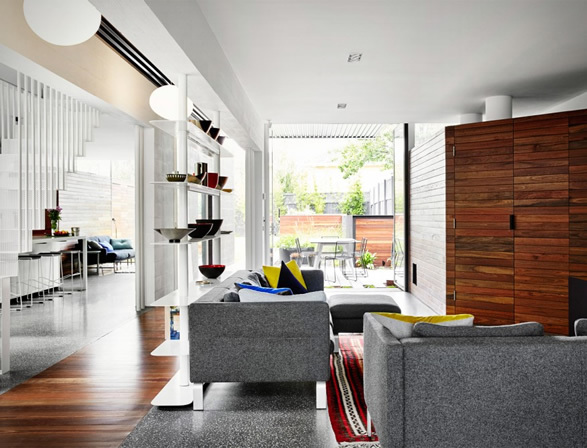 A large lounge and study are on one side, while the other side contains a dining room, kitchen and smaller lounge. 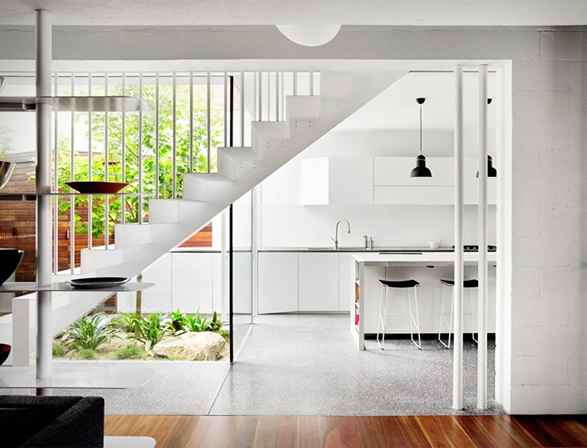 At the Centre of the house, a beautiful perforated staircase leads up to three bedrooms on the upper floor, two of which open out to balcony terraces. 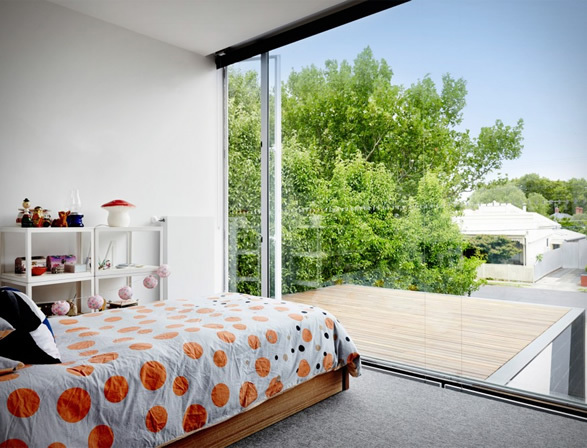 The house also has its own solar-panels, high performance insulation, and a large water tank with rainwater to be used to flush toilets and water the garden.